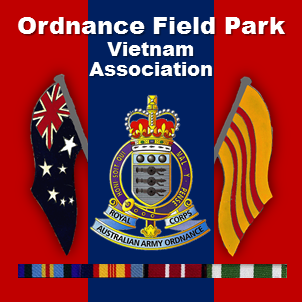 2008 – Perth WA – Ordnance Field Park Vietnam Assn. Another resounding success, enjoyed by one and all. Perth weather was kind to us for the entire five days and everything went off without a hitch. Special thanks must go to Graham Spencer who went to great expense to set up a caravan park at his property in Chidlow to allow the caravan crew from the East to park their vans and join us all at the Hotel for the duration of the Reunion – thanks Spence. The Reunion started off with a bang. The Thursday night Meet & Greet went off as expected, A 112 happy people sharing their lives again as if the two years since the last reunion were only yesterday. We welcomed two first timers to our Reunion, Tony Anthony and his wife Pauline from Victoria and Phil Cunnington from W.A. Although each Reunion we have had new attendees, our Officer presence has diminished to zero, disappointing. We were greatly honoured to have the Rt Hon. The Lord Mayor of Perth, Lisa Scaffidi give a welcome speech to get the Reunion officially underway. She was delightful and her presence was greatly appreciated by all, and a special plaque from the Unit was presented to her. The function at the Kings Hotel was supposed to run from 6-8pm, but the bar staff agreed to stay on and the evening continued with most staying till about 11.30. Friday 25th Anzac Day saw the day begin with the Dawn Service at Kings Park attended by a number of our group who survived the night before. A crowd of 40,000 attended the service, and a wreath was laid on behalf of the Ordnance Field Park by Ron Dhu, one of our Perth guys. At 9.30am our Unit formed up in St. George’s Tee in front of the R.S.L. for the main Anzac Parade. What a smart Unit we were, nearly all in jackets and wearing our Unit tie. All agreed that it was a fantastic parade – a very moving and rewarding experience – goose bump material. Garrick Evans led our group in the march alongside Geoff Conway and his wonderful guide dog Uka. Our banner bearers this year were Bill Dobson and John Faram. Pam Stapleton and Kathy Ault joined the guys in the march wearing their grandfathers and fathers medals, and we heartily encourage any other ladies to join with them at future marches. The crowd lining the streets was massive and so supportive. There were “Thank you” signs everywhere, people shouting out “We’re proud of you” and “well done boys”. The Lord Mayor clapped and waved madly when she saw us passing the saluting dais. Following the main Service on the Esplanade we all wandered back to the Kings Hotel for our lunch function which went very well, things got underway with Bob Nash reading the Ode and proposing a toast to absent friends, the drinks flowing late into the afternoon amongst laughter and none stop chattering. We were even treated to a very tuneful rendition of the Maori Farewell from David Peak. A fantastic day! For those who wanted to continue on into the evening the pub around the corner became the place to gather. Saturday 26th was a free day and everyone took the opportunity to explore Perth at their leisure before preparing for our dinner/dance in the evening. Graham Spencer even arranged for a group of 17 to go to Rottnest Island for the day. Unfortunately a couple of our group had to head home early, Neville Shaw’s wife Gloria became ill back in QLD – hope she’s feeling better Nev, and Brian and Peggy Rutledge had to head back to NSW following the death of Peggy’s mum. Our deepest condolences to both of you and your family. At 7pm pre-dinner drinks were held in the Waterfall Lobby of the Kings Hotel before the doors opened into the William Ballroom for the main event. The room looked wonderful with tables decorated in the Corps colours ready for the 120 guests to be seated. Tony Flanagan got things underway with a welcoming speech. A toast to the Corps was made by Peter Finch, followed by a toast to the ladies by Tony. During dinner, music was provided by Dennis Flanagan, Tony’s brother from Tasmania. Following dinner a special presentation of a plaque was then made to Bob Nash in appreciation of his services to the Ordnance Field Park as the Unit historian and his continuing work to have the Unit recognized for its service in Vietnam. The dance band fired up and the floor filled to the great music of Kelly Green, Brenton Fosdike and Dennis Bird. Kelly was a special treat as she did two tours of Vietnam with the Western Australian concert party in 1967 and 1972. Brenton was a member of the “Mixtures” in the 60’s, and Dennis was musical director for the late Ricky May. The band numbers swelled to five during the night with Dennis Flanagan joining in as well as Bob Keatch (an army muso) on bongos. We even had a couple of impromptu singing performances from Lou Fatone (with the microphone turned off) and Tony Flanagan who was called up by the band, which went down really well. We might all be getting a little older but boy can some of us move around the dance floor, it was a credit to the medical profession that all those hip replacements and reconstructed knees held out! The night was fantastic the floor was hardly empty all night, everyone mingled like one big family and laughter abounded. About 2am the last hardy few headed for their rooms. Sunday 27th saw everyone board our coaches for a trip to Fremantle for the day. Our group had 3hrs to wander around the port cities many attractions at their leisure before meeting back at the Esplanade Hotel for a delicious buffet lunch. We all departed in our coaches at 2.30pm to visit beautiful Kings Park for a closer look at the War Memorial, and panoramic views of Perth. Then on to the Vietnam Veterans Memorial before heading back to our Hotel. The pub around the corner once again became the place to gather for an evening meal and a few ales. Tuesday 29th – our last day. We boarded our coaches once more to travel to Canning Vale for a morning tour of The Swan Brewery. A very interesting morning with well informed tour guides, ample beer sampling and hot finger food for everyone. Then it was back to our Hotel where everyone went their own way for lunch. THE TIME HAD ARRIVED – 3pm AT THE RSL FOR OUR “FAREWELL”. The staff locked the doors and we had the RSL to ourselves for 4hrs. Money over the bar for drinks and stacks of food. Our sincere thanks go to the Bar Manager and his offsider, and particularly the lovely lady in the kitchen who worked very hard keeping the hundred of us fed all by herself. The room was abuzz with talk of the great time everyone had had over the six days of the reunion and the expectation of how could it possibly be bettered in Adelaide 2009. Handshakes, kisses, cuddles – one big family -fantastic! Wednesday 30th the Hotel lobby gradually filled with suitcases as people waited for their transport to the airport or were leaving to pick up their caravans to head home and some to continue their tour of W.A. Final Farewells and the pledge to meet again – where?